Antoine de Saint Exupéry’s Little Prince came from a planet scarcely any larger than a house. He shared his little planet with good plants, bad plants, a couple of vulcanos and one beautiful rose. The image of this small asteroid covered in green with one magnificent flower sticking out of it, has always made me smile: wouldn’t it be magical to live on such a planet? One day, while on an urban exploration of Amsterdam, there it was, my first string garden: a little ball of soil, covered in moss, with one, tiny plant growing on top. 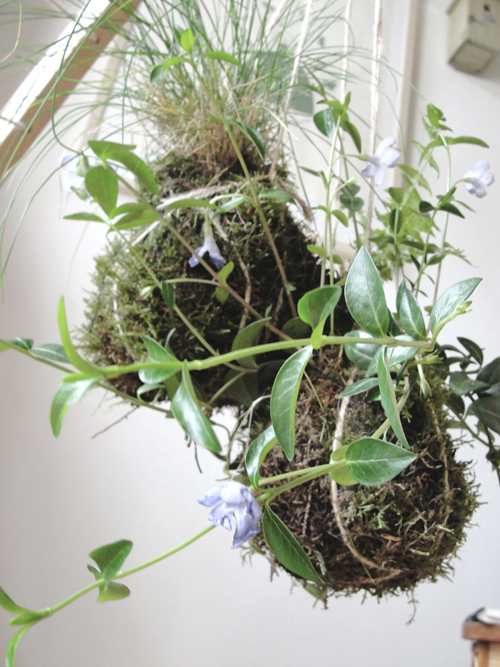 I wrote about the moss ball, or Kokedama as it is called in Japan, in a previous post but I have waited the whole winter before venturing on making one. In the end I even turned this event into something special by inviting friends and teaching them too how to add a bit of magic to the world: because that is truly what they do. That’s why I want to teach this to you too. a tiny plant; moss can’t stand direct sunlight so choose a shadow loving plant. 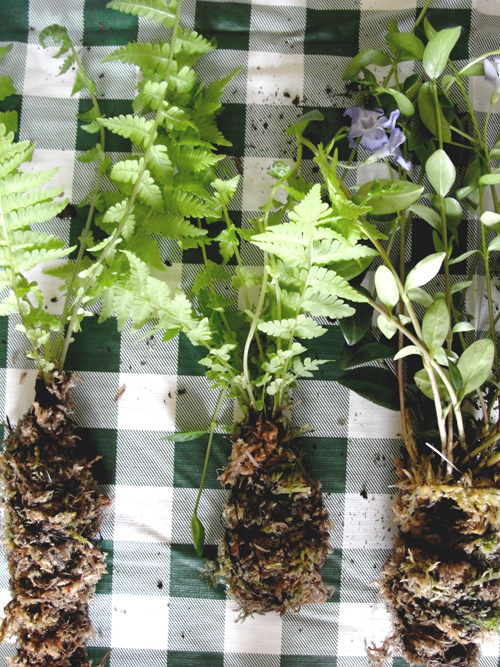 I have used baby ferns, grass and another lovely plant with violet flowers of which I can’t recall the name. 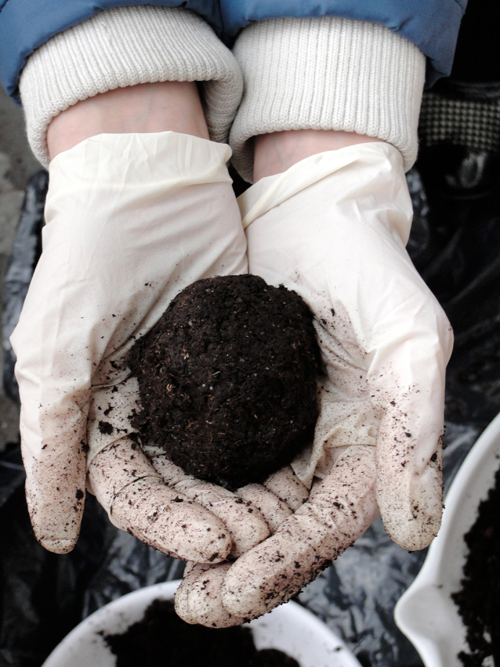 a 7:3 ratio of peat soil and akedama or bonsai soil. gloves. Yes, it WILL get messy. 3. 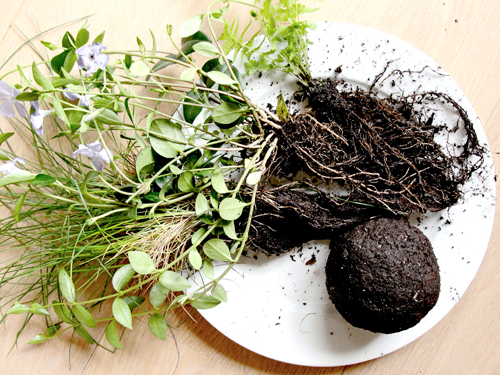 Now that your soil is mixed, start shaping it into a small ball the size of an orange. Use a little bit of water if needed. Think ‘clay’ or ‘pizza dough’. 4. Et voilá! 5. 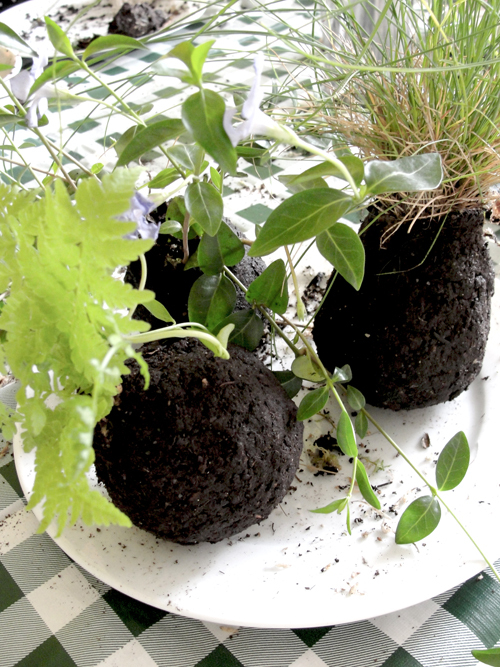 Make sure each ball has enough room to accomodate the roots of your plant. 6. 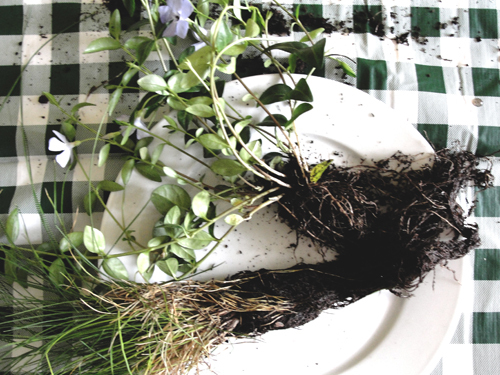 Take a bunch of dry moss and wrap it carefully around the roots, making a circular and compact shape. Then tie the cotton string several times around it. This will eventually dissolve. 8. 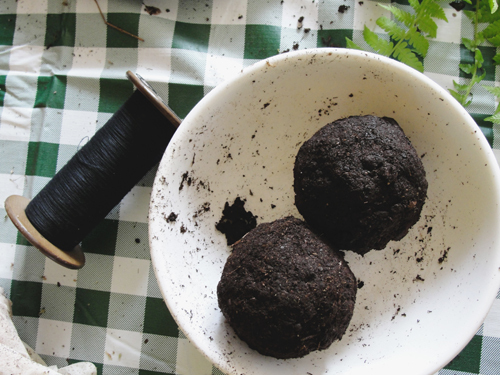 Make a small hole in your soil ball and gently press the plant inside it. Be careful to ‘close’ the shape back to a sphere. 9. 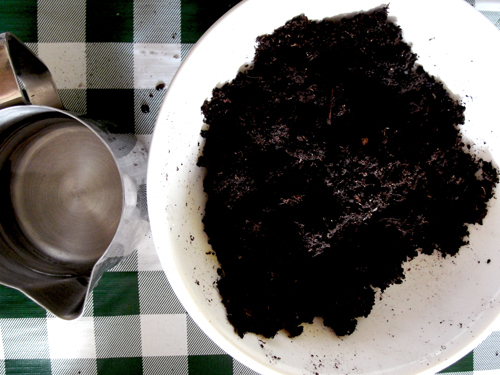 Now it’s time for the fun part: take small sheets of moss and press them firmly into the soil. Don’t leave any open spaces. Wrap the twine string around the ball as if you are packing a present and leave the long sides as long as needed. The original Japanese Kokedama is wrapped very carefully and symmetrically. I am a mess when it comes to wrapping so I just went for the ‘messy bun’ thing. 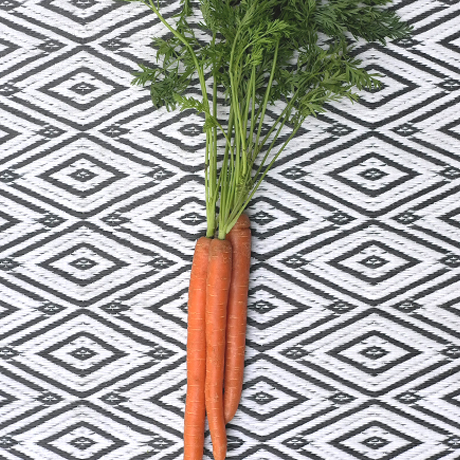 Imagine how amazing it is to see all those ‘messy bun’ Kokedamas on pinterest, these are all people who might have followed my tutorial (or are as messy wrappers as I am)… 10. 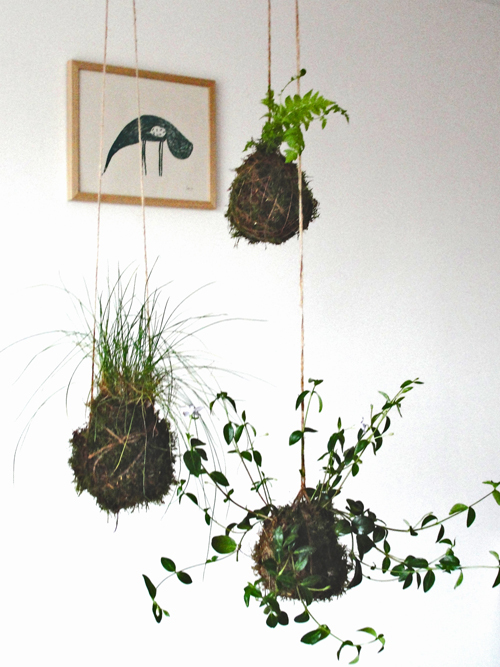 Choose a nice, shady place, install a hook and hang your wonderful planet of moss. Be proud! 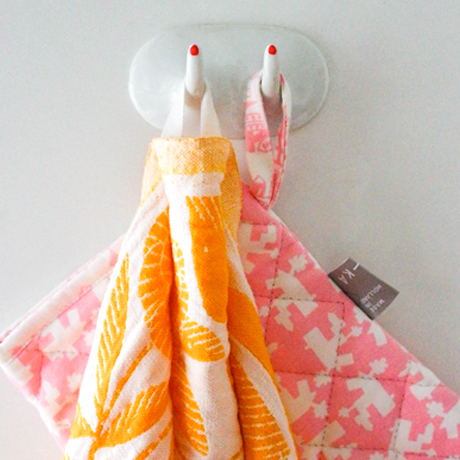 This post was previously published on my old blog, DesignSponge, Sew Mama Sew, German Magazine Brigitte, Dutch magazine Viva.